The small community of Hankerton is fortunate to be surrounded by beautiful walks. 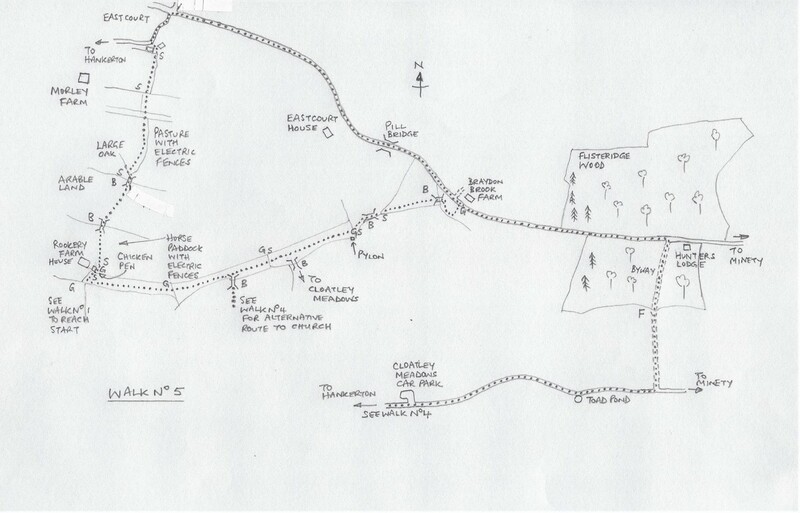 To the east of the village lie the Cloatley Meadows and numerous village footpaths enable walkers to enjoy circular walks through the fields and through the small woodlands and copses at all times of the year. 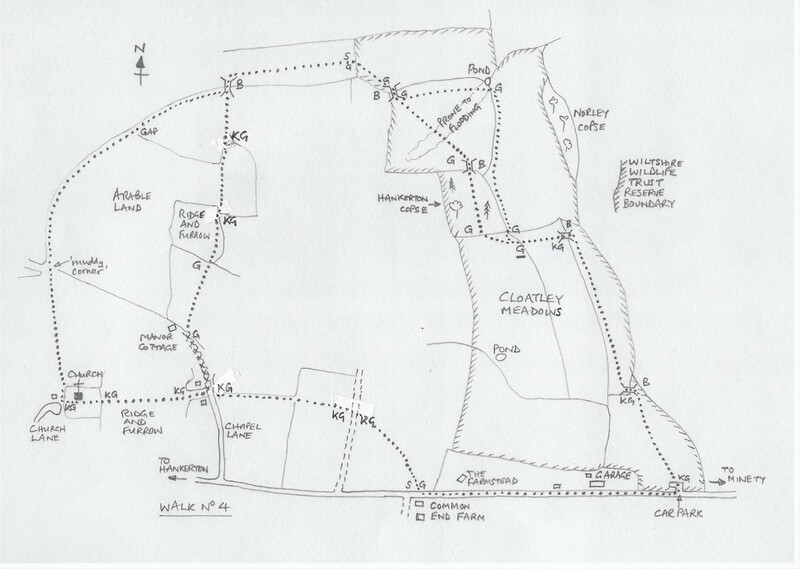 Of particular interest is The Wiltshire Wildlife Trust’s reserve of Cloatley Meadows. Walking in The Cloatley Meadows is a delight in the months of May, June and July. Alarmingly, 97% of the Uk’s wildflower meadows have been lost since WW11. Flower-rich meadows, unspoilt countryside and woodlands have been destroyed and species-rich grassland now covers only 1% of the UK’s land. 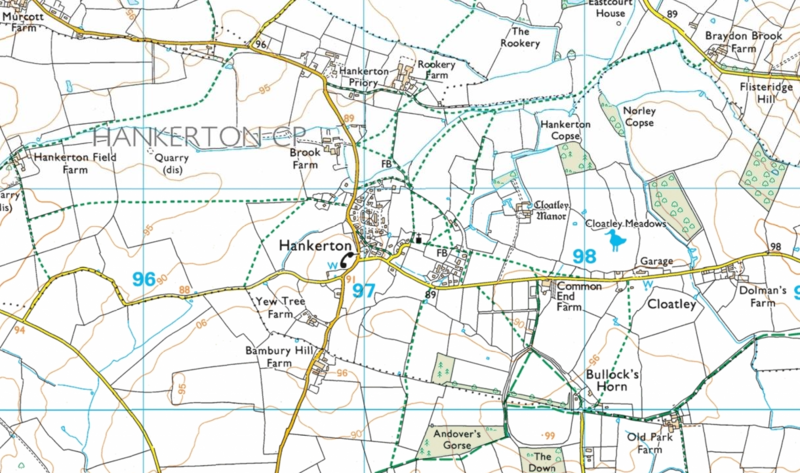 We are fortunate in Hankerton: we have an area of outstanding natural beauty within minutes of Holy Cross Church in the centre of the village. 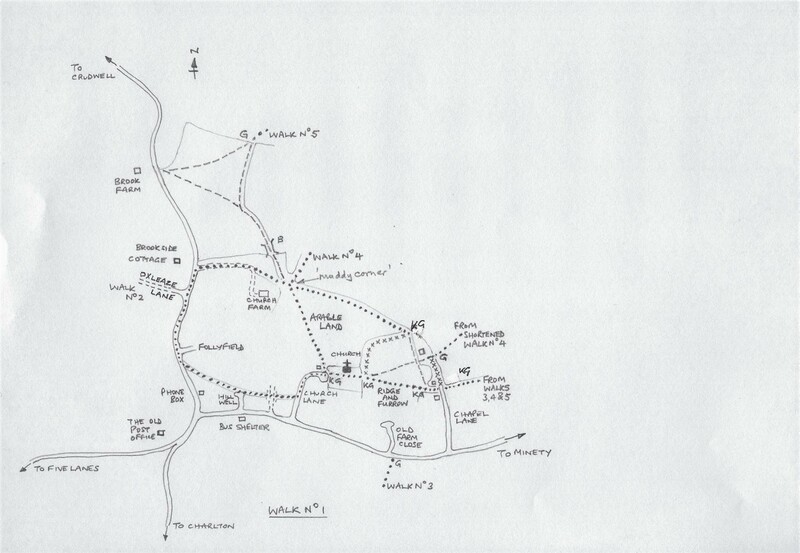 Footpath maps are posted in the porch of Holy Cross Church in the centre of the village and in the Village Bus Stop at the junction of Cloatley Road and the Minety Road. The footpaths have been well maintained over the years and are clearly signed. 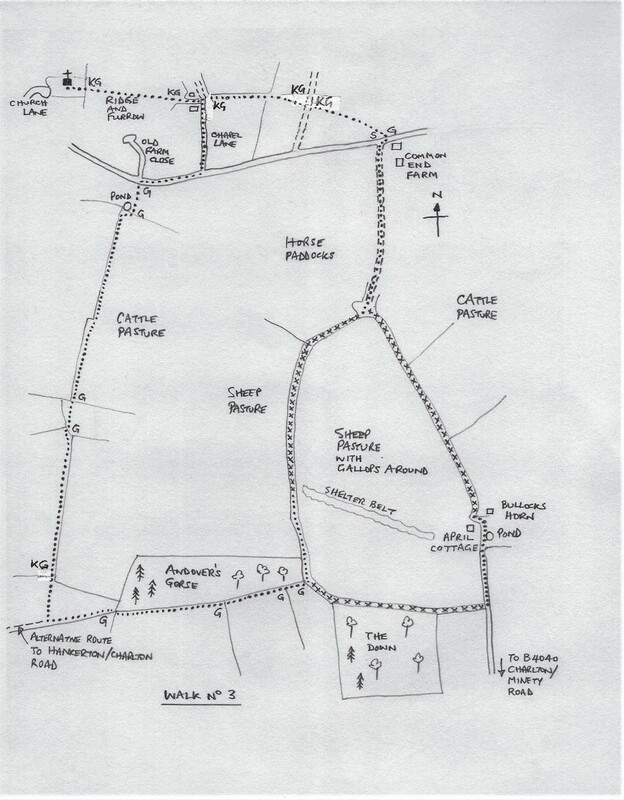 Many walks can be devised, particularly as knowledge of the footpaths and bridleways is assimilated. 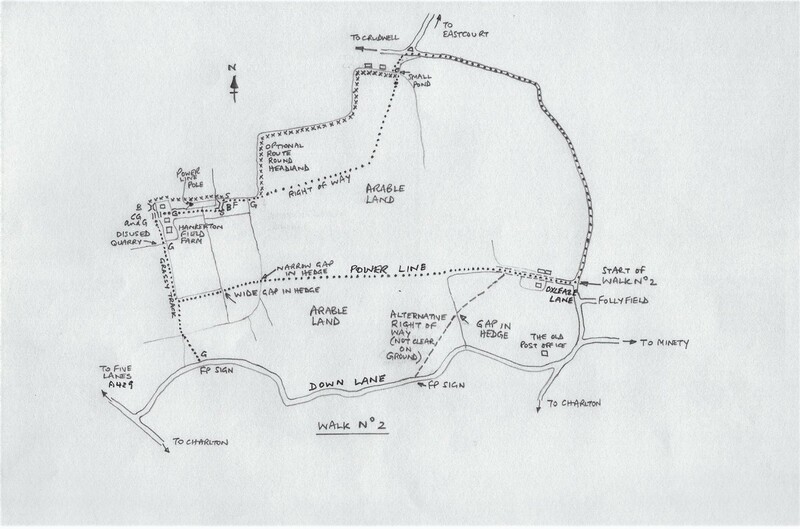 The following five walks have been mapped and documented to assist with rambling in the village during the changing year. Enjoy! There are five walks listed here. Click on the map to see a full size image. Click on the PDF to download it and print it.